When I transform the voices in your organisation something fundamental changes. For a company, division or individual assessment followed by a bespoke program design please email me. Effective communication, communication that connects with and influences the listener, requires a masterful and conscious crafting of vocal sound, movement quality, and cognitive content. Often the very thing that prevents us from thriving in any area of our life is the inability to fully express ourselves. Physical, vocal and emotional blocks result in a lack of energy and motivation and are acknowledged as key contributing factors to anxiety, low productivity and increased stress levels three of the greatest hindrances to personal wellness, career growth and business prosperity. Being able to confidently and authentically express oneself is fundamental to a sense of self-empowerment and to enjoying a successful and satisfying career. Voice 360 operates globally and sessions, workshops and longer training programs can be organised in your city. There is a global trend towards incorporating what would have previously been regarded as ‘alternative modalities’ into business practice. 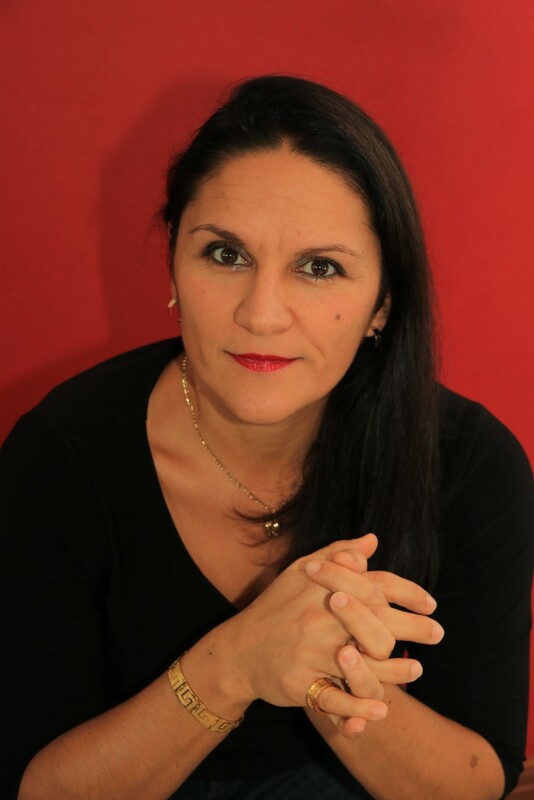 In driving towards innovative and more effective solutions to developing communication and relationship skills, to instilling resilience and stress management, nurturing confidence and presentation skills, business leaders and HR development practitioners are now beginning to recognise the value of such concepts as ‘embodiment’, ‘mindfulness’ and ‘performance energy’. This move is backed by recent research in the field of neuroscience that highlights the fundamental role that the human body and its habitual movement patterns play in an individual’s sense of identity and in their ability to express themselves. It is clear to me that integrating the body and mind through embodied practices is an important aspect of people development and therefore leadership and business cultivation. On the very cusp of this revolution towards embodiment lies the voice. It’s integration into the concept of the ‘bodymind’ holds much for professionals who desire to develop and enrich their leadership abilities and ultimately gain a deeper sense of personal empowerment and self-mastery. The voice provides a bridge between one’s inner experiences, thoughts and ideas and the outside world. Without a liberated voice one cannot make an impact or truly claim one’s place in the world. In the moment of communication the voice, its tone, pace, volume, pitch and articulation and the body – with its energy, movement quality and use of space – carry a multilayered message to the listener. If one’s voice is not properly produced to support one’s message and professional image one will not have the desired impact on the listener. The conscious integration of body, mind and voice is not only the key to self-cultivation it is at the core of professional and business cultivation. In essence, voices have an effect on the bottom line of the business. Voice 360 transforms communication ability through a dynamic experiential learning strategy that actively works towards integrating the elements of successful communication and developing heightened sensitivity and awareness of the self and of the self in relation to the other in the moment of communication. This progressive strategy is called Embodied Communication Practice. Embodied Communication Practice (ECP) is an approach that integrates technical, physical and creative interventions that regulate breathing patterns, expand vocal range, improve voice production, release bodily holding patterns, increase movement potential and gestural range. As a transformative methodology ECP fosters a comprehensive understanding and an acute awareness of the body, voice and psyche in the moment of self-expression. The approach also investigates the client’s relationship to space since this informs posture, movement choice and how the client’s body feels in relation to other people in space. These subtle nuances have a direct influence on how a client uses or does not use their voice. ECP has a direct impact on the client’s acoustic output; essentially, the voice changes and clients experience a tangible inner confidence that becomes embedded in their sense of self and identity. Clients enjoy more freedom of movement, improved body language and better posture. They feel centered and grounded thus presenting themselves as confident, comfortable and approachable. They come across as open, clear, assertive, in control and interesting to listen to. The changed voice has better range and modulation, clarity and increased impact. The client is no longer ‘locked’ into one particular monotonous way of sounding or gesturing. Through improved awareness and technical ability the client is able to ‘craft’ their voice and movement for maximum impact in various situations supporting meaning and intention. Clients reach a higher level of self-mastery and are noticeably more confident and better able to communicate opinions and ideas across all levels of the business. 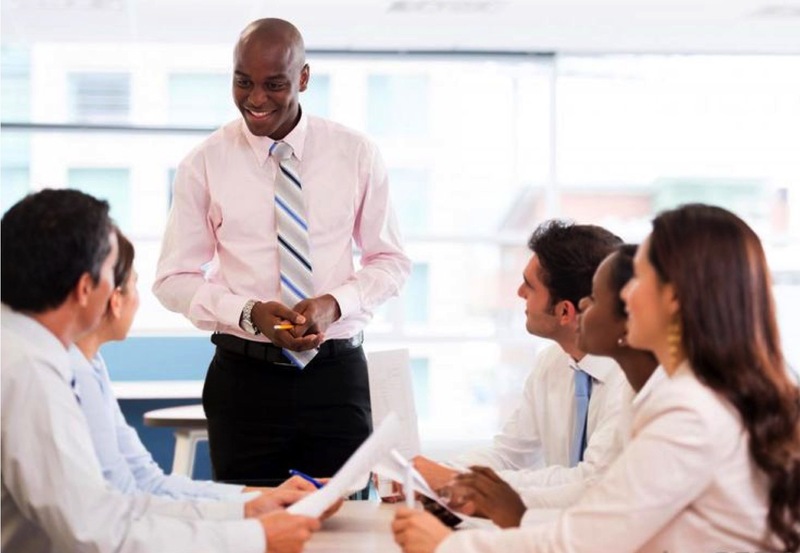 They are better able to connect with and influence others through their use of voice and body and are thus more successful during presentations, meetings, conflict situations and negotiations. In addition, the process deepens the client’s understanding of the vocal and movement nuances of others. 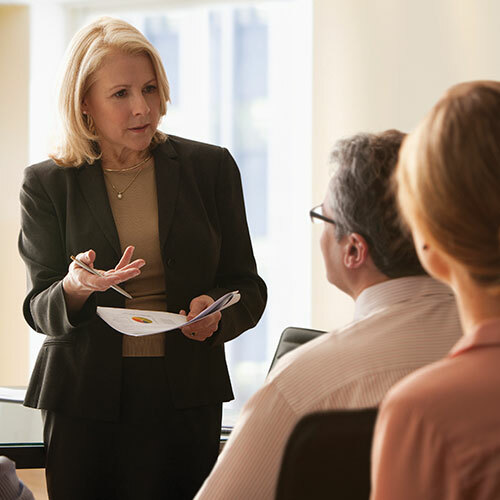 This skill offers the client tools with which to ‘read’ the intentions, moods, and underlying communication patterns of others thus enhancing their ability to connect, empathize, motivate and negotiate. Overall the innovative strategy of ECP results in noticeable vocal and physical changes. It is a multimodal approach that transforms, empowers and cultivates people and business by harnessing the personal, expressive and professional potential that is ignited through an engaged and dynamic body and voice. Immersions that are designed to align with your specific context have the greatest impact and provide a solid foundation for long-lasting change. Thus all Voice 360 offerings begin with an assessment during which we establish you or your company’s unique development goals and discuss the challenges you are facing. From this assessment data and our discussion I design your bespoke program. The Embodied Communication Practice experience is not your usual training session; we don’t hide behind tables and powerpoint. In line with the latest neuroscience research about learning and development, the ECP approach demands that we work together in a studio-like environment, an open comfortable space where one can move and expand. Such a space lends itself to exploration and creativity and to greater self-expression. In the ECP immersion participants find a deeper connection to self, to body and to the ECP practitioner that facilitates an intense experience which leads to learning and transformation. The personalized one-on-one sessions last 1½ hours and on average I suggest about 10 sessions over a three-month period with 2 follow-up sessions thereafter to ensure integration. This approach is ideal for executives and senior management. Below is a gallery of focus areas that might be incorporated into the program. Your program can of course include areas not listed here. All these areas of communication are addressed through integrated voice and body work. There’s a innovative learning strategy for you. 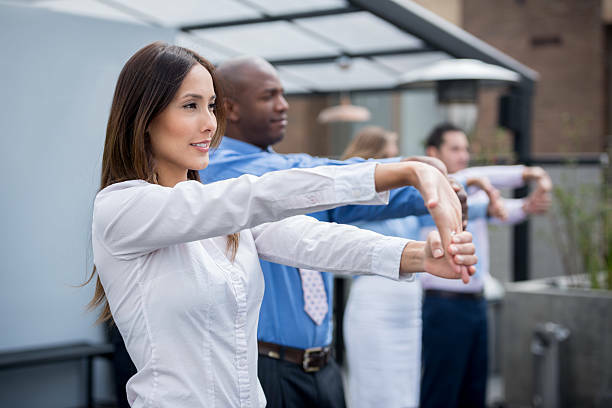 Group programs cater for up to 16 people and, depending on your requirements and the identified focus areas, can be designed over 2 to 3 full days. Alternatively your program can be presented over a number of weeks with weekly sessions. Numerous research has shown that people’s number 1 fear is of public speaking. Its clinical name is ‘glossophobia’. With such prevalence, glossophobia probably impacts on communication within your company. ECP gets to the bottom of this fear and is highly effective in helping people to overcome it. The learning provides versatile tools to use in the moment of speaking. Whether you or your team need to be able to hold engaging meetings, present dynamic sales pitches or perform moving and powerful auditorium or conference speeches ECP will support you in this development goal. The term ‘performance energy’ comes from theatre and is used in other performance practices such as film, music and dance. It is the energy the performer is able to generate, focus and give to the audience in the moment of communication. Essentially it is performance energy that connects to and moves the audience. It is what defines a good performance, making the experience tangible to the audience. Performance energy is something that can be harnessed an utilised in the business context too and for similar outcomes: grabbing and holding attention, moving people to action, being able to really drive a point home, for leading and inspiring others. ECP supports you and your team to find, develop and focus performance energy to provide both traction and momentum to communication encounters. Communication is fundamentally about making a connection with another person. It is primarily through this connection that one can have an impact on and influence others. Whether one is successful or not in connecting depends in large part on how effectively one has used one’s voice and body in one’s communicative interaction. ECP brings awareness to the importance of this aspect of communication and supports those who might find making a real connection challenging. ECP work in this focus area is of particular value in the negotiation and conflict management context. As humans we experience ourself in space and we also have a keen sense of our personal space – sometimes called our kinesphere. How you feel in and utilise your space has an impact on your voice and on the way you are perceived by others. It also effects how you feel and respond to others in your space. The ‘Power Spot’ is a distinct area within your Sphere which supports and empowers you during communication. Communicating from here you will come across as confident, assertive, calm and knowledgable. Your voice and body will support your message. ECP helps you to discover, step into and harness your Power Spot for effective communication. Non-verbal communication has been dissolved and is often regarded as simple identifiable gestures with specific meanings: scratching your nose means you are lying etc. However, non-verbal communication is far more nuanced than that. ECP develops non-verbal communication through developing the awareness and mindful use of movement quality, body positioning, gesture and posture during communication. It also highlights the fact that the body and its movement habits have an impact on the voice. Vocal tone, the how you say it, is a key factor in non-verbal communication. ECP facilitates the masterful integration of the voice and body to to provide a solid platform for successful non-verbal communication. Many opportunities are missed because people in organisations feel they cannot speak up and share their ideas. Speaking out when one sees a potential problem area or an issue can be a challenge. Voicing one’s feelings and aspirations can also be difficult. One might be fearful of the response, feel that one doesn’t have the authority to voice, or may fear the result of challenging authority. Perhaps one’s ideas have been dismissed in the past and so on. There is a certain risk in speaking up and speaking out and this is felt at a body-level. ECP works to develop embodied courage so that people can move from a place of silence and step into a more active and participatory role better able to contribute to the company. A company is made up of individuals, the success of the company depends, in large part, on those individuals speaking up and sharing their ideas. Communication encounters, whether they are one-on-one conversations or presentations, can evoke nervous energy. ECP provides specific breathing and voice-body techniques that defuse and re-focus this energy. Highly valuable in challenging and or charged communication encounters ECP brings awareness to the moment and provides the tools to convert these moments into positive and empowering opportunities. Authentic confidence it not something you can fake, people see through that. It’s also not something that can be achieved through mind-power alone. Confidence is a certain sense of self, a felt experience. When one is feeling confident one’s body feels and moves differently and one’s voice is also different; it is the elements of voice and body that projects the confidence. 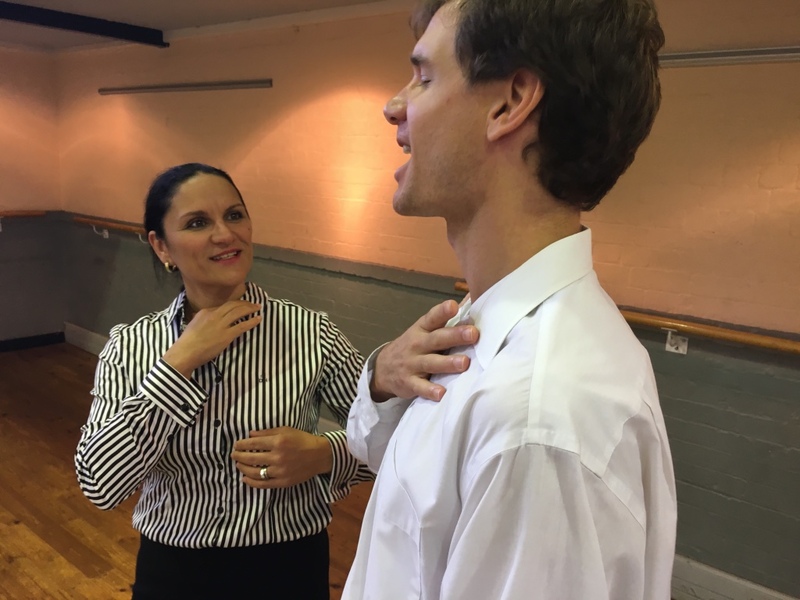 ECP takes an in-side-out approach to nurturing and developing confidence helping people to find a new sense-of-self through challenging ineffectual vocal and movement habits which hinder the projection and experience of confidence. We develop an affirmative self-image and nurture a centred and grounded experience of confidence. At the core of any empowerment process is the voice. To be empowered a person must both have a voice and be heard. People who are in high-level positions within an organisation but are not heard are not empowered and as a result will find themselves feeling disempowered and ultimately unhappy. ECP provides a robust platform for the empowerment of people enabling them to claim their voice and their ground. Why do we feel comfortable in the presence of some people, but not others? Why do we feel differently when people approach us from the back as opposed to the front? Why do some people take up more ‘space’ in a group than others? When one begins to unpack and understand interpersonal relationships on a physical level, one learns how subtle, often unconscious, sensitivities towards others and spacial relations effects one’s expression and behaviour during interactions. ECP teaches people how to tune-in to the multilayered information available to them through their physical senses. This information helps to clarify the feelings and impulses experienced when interacting with others. Through an improved understanding of how an individual (and others they are working with) feel and function within groups, the topics of group and relational dynamics is expanded. This ECP immersion gives people specific tools and techniques to better navigate interactions with others, specifically challenging ones. Over 3oo million people suffer with depression and 1 in 13 people with anxiety worldwide; often a combination of anxiety and depression are experienced. The WHO sates that anxiety and depression are the most common mental disorders and the leading cause of disability, with almost 1 million people choosing to take their lives annually as a result. It is likely that anxiety and depression are effecting people in your organisation and impacting on their productivity. Anxiety and depression are not simply mental conditions, they are very much physically experienced and have much to do with a lack of full and authentic self-expression. The process of ECP offers the person experiencing these conditions a deeper understanding of the physical and vocal manifestations. The process provides practical and embodied management strategies and various neurobiology based experiences which offer new and more positive experiences of the self, thus improving the person’s overall sense of self, ability to positively express themselves and enabling them to better navigate their experiences. All emotions are attempts at expression. To be successful approaches to the management of anger cannot promote a silencing of the emotion. It is crucial that anger finds expression and that its energy be refocused into positive and productive outcomes. ECP transforms the overwhelming experience of anger through a creative and embodied process which not only helps people to modulate their physical, breathing and vocal behaviours but also assists them in uncovering the root cause of the anger (often not having a voice or not being heard in a certain context or relationship). ECP guides people in developing positive, proactive and creative strategies to master and convert their emotional energy into a constructive driving force. Its not uncommon for people to get it wrong when trying to be assertive. There is some misconception between being assertive and being aggressive. This leads some to rather hold back than be regarded as aggressive (often resulting in them being taken advantage of or steam-rolled). Others attempt to be assertive but project aggression. Being assertive without expressing aggression is an art and one which emanates from an embodied awareness and mastery. In cultivating the ability to be assertive ECP encourages the exploration and creation of clear and strong boundaries and the embodied understanding of the Vertical experience. When one develops this awareness of what it means to be grounded and ultimately true to yourself, successful assertion does not need aggression. Workplace stress effects as many as 70% of employees. Stress effects individuals but it also has an negative impact on the organisation. Stress is a physiological and psychological experience caused when an individual has insufficient resources to cope with the demands and pressure of a situation. Improved verbal and non-verbal communication skills and an ability to maintain boundaries and be assertive are key resource development areas. ECP is highly effective in helping people manage and dissolve stress (both its physiological and psychological manifestations) and to develop their resilience. ECP builds an acute awareness of increasing stress levels so that the person can take the necessary measures before it escalates. ECP provides easy to implement embodied techniques to combat stress and dissolve fight-flight-freeze behaviour empowering them to reset and re-motivate. The ECP approach also improves empathy and EQ levels thereby strengthening organisational support structures which also reduces stress levels. An organisation’s brand is regarded as crucial for its success and much investment of time and money is allocated to brand development. However, in brand development the focus is predominantly graphics-based; things like logos, colour schemes, the look and feel of websites, and the office and reception space. But, if an organisation is the sum of the individuals who work there is it not equally important to support these individuals in developing their performance of the brand? Company brand and corporate culture is performed by individuals who communicate the organisation’s values through their use of verbal and non-verbal communication, they perform the brand through voice and movement. ECP holds that impactful and effective communication is the hallmark of a great brand and a strong corporate culture. ECP examines body-image, voice-image, self-image, and professional-image in the context of your organisation, not with the aim of converting everyone to a cookie-cutter employee, but rather to support individuals in finding and developing their unique way of contributing to the business brand. In this way ECP develops organisational culture. To be a good communicator, one must first be a good listener. The ECP process expands the idea of listening to include a deeper understanding of the tone of voice (through various vocal components) and body language (through movement quality) of others. In this way you’ll learn to ‘read’ others and be able to interpret the nuances of communication more successfully and, thereby, be better able to craft your response and position yourself to produce a favourable outcome in interactions, discussions and negotiations. During transitional periods people often find themselves feeling vulnerable and unsure about how the changes will really effect them. This uncertainty and anxiety around change can be addressed through a ti-phased ECP process whereby people are able to voice their opinions, fears, needs and hopes, and be heard in a safe space. We work through change creatively unpacking the physical, vocal and emotional experiences relating to transitions and provide people with dynamic coping strategies and a multitude of co-created perspectives that allow them to enjoy the experience of transition as an opportunity for growth and development. Over the last decade there has been an increase in the awareness of the importance of EQ. ECP regards EQ as an embodied communication skill since all emotion is an attempt to communicate some feeling state. In understanding others, and being able to connect and empathise, one draws on one’s own body awareness and knowledge of emotions and on how emotions are performed through the body, movement, and the voice. EQ is also successfully developed through the body and the voice and engaging these aspects of the self creatively amplifies the learning. EQ starts with self-awareness. Working with others in the container of ECP one is able to develop an understanding of how others experience, cope with and express emotion, this informs one’s own experience and nurtures one’s ability to connect with self and others. Can work be your happy place? 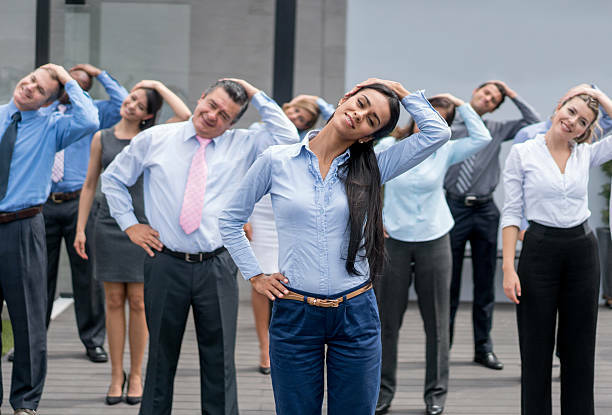 Cultivating emotional and physical wellness, self-awareness, mindfulness, self-care, and finding work-life balance is an important part of HR in any progressive organisation. 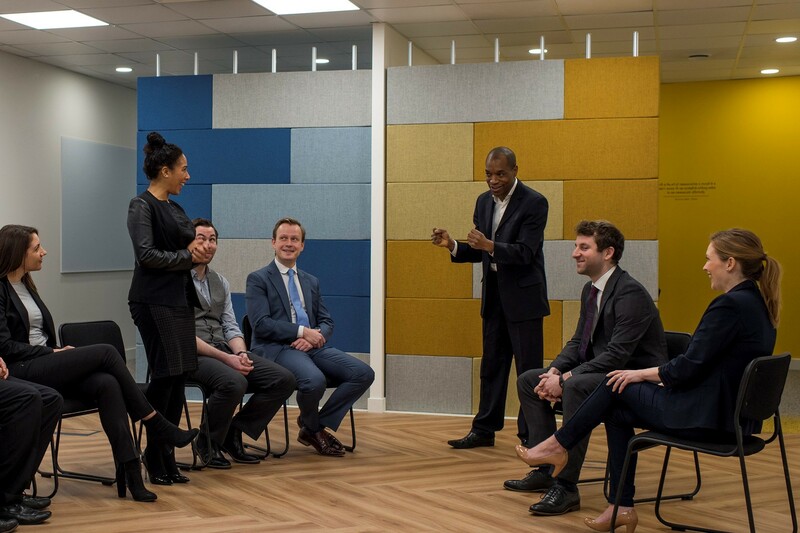 We know that wellbeing is of paramount importance if we are to improve productivity and staff retention and minimise burnout and sick leave. ECP helps people to find their voice and place in your organisation, we help people to connect with and, importantly, share thier passions and talents. We help people to manifest the life they truly want for themselves and help them to live expansive, creative and expressive lives. In aligning inner voice, interpersonal voice and public voice creatively and in an embodied way, yes, work can be your happy place. Voice 360 is based in South Africa and services local and international clients.